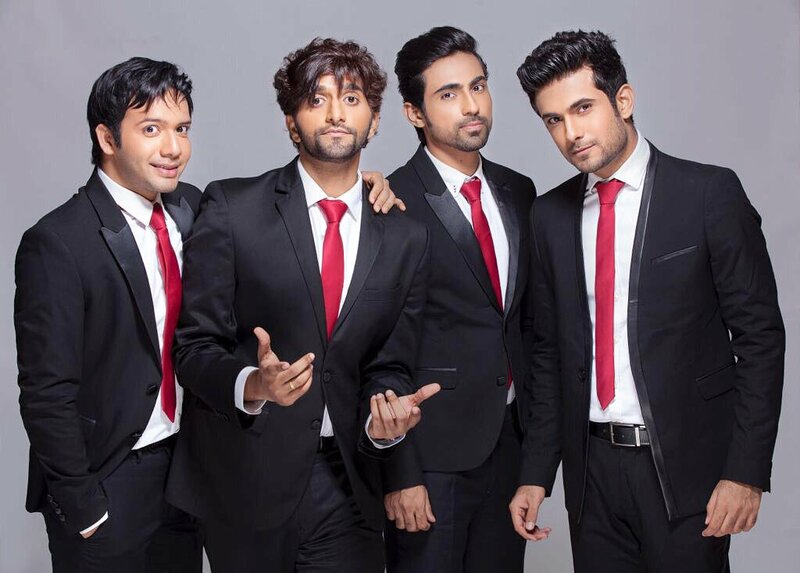 What comes to your mind when you hear the word SANAM? As a Bollywood music lover, I think of none other than India’s Fantastic Four who have clocked a whopping 2.7 million subscribers (and counting!) at their YouTube channel, thanks to their wonderful renditions of retro classic hits, modern hits and original compositions. 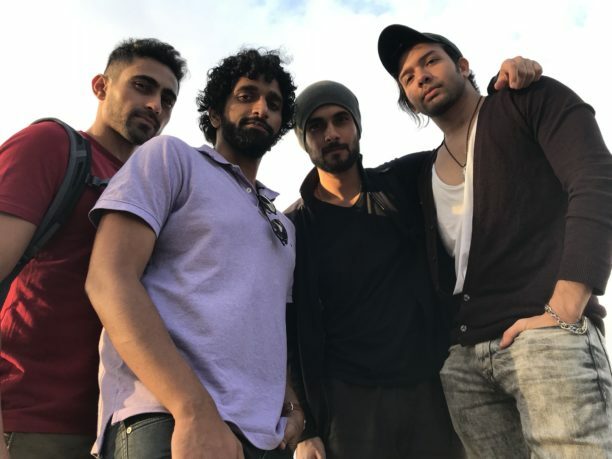 The fantastic four comprise of brothers Sanam Puri (lead vocals) and Samar Puri (lead guitar), Venky S (bass guitar) and Keshav Dhanraj (drums). I would say they are India’s most commercially successful band, and they have enthralled audiences in various concerts both internationally and in India. As a band, SANAM have also succeeded in bridging the gap between the younger and older generations, through their retro renditions. I have been fortunate enough to have a chat with the band, to gauge their thoughts on current music trends, whose music they like listening to, and much more! Firstly, many congratulations on receiving 2 million subscribers at your YouTube channel! 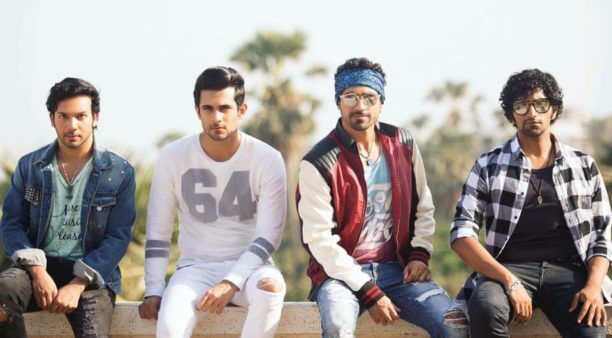 My most favourite cover has to be Mere Mehboob Qayamat Hogi – Sanam’s epic vocals combined with Samar’s electrifying guitar riff, plus Keshav’s constant beat and Venky’s bass are the highlights of the song. What are the main decisions that you take, when deciding which song to cover? 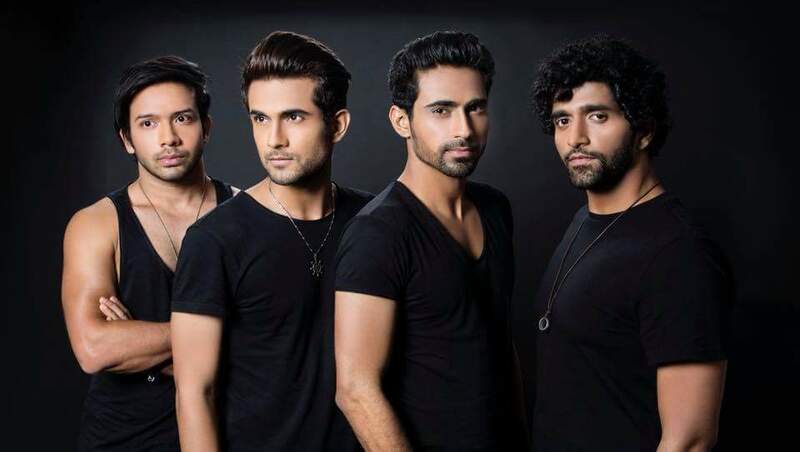 Sanam Puri – Thank you so much, I think it’s one of our favourites as well. Melody is king – it’s what draws us towards selecting a song to render in our own style. Our style is catchy hooks in the song, make a groove/beat that compliments the hook and adorn the melody with layered vocal harmonies. We try to maintain the essence of the song – whether it’s lyrical content, vibe of the song or emotion it brings out when you listen to it. Which musicians (Bollywood & International) have been your inspirations? Venky S – As a band, we lean towards a pop/rock sound – so anyone from the past or present can be an influence if we like what we hear. If we talk about music that we grew up with, then each of us have unique influences. I think some of our parents listened to film music back in the day, so those tunes have subconsciously part of our lives. Sanam Puri – loves western classical melodies and artists like Michael Bolton, Josh Groban, Westlife, Tiziano Ferro, etc Samar Puri – bands like U2, Radiohead, Muse and newer hiphop acts, Keshav Dhanraj – Michael Jackson, Venky S – Queen, Frank Sinatra, James Brown, Donny Hathaway, Boyz II Men, D’angelo, The Eagles, The Doors, Iron Maiden etc. How important is it for an artist to play a musical instrument? Please share with us which musical instruments you can all play. Would you say that for a singer/artist, it is important to be able to play an instrument, as well as to sing? Sanam Puri – I’ve always accompanied myself on the piano/keyboard while composing a song or making melodies. The thought of playing a grand piano on stage with the band thrills me. And I also play a bit of the drums and guitars. As a singer, it’s an amazing feeling to be able to play an instrument – it takes you to place where you can emote yourself in different ways. It’s like adding/selecting colours to add to a painting. Sanam Puri, You have had the opportunity to do playback singing in Bollywood. (‘Ishq Bulaava’, ‘Dhat Teri Ki’, ‘Barbaad Raat’) Please share with us your experience of recording these songs and are you still open to playback singing? Sanam Puri – The first couple of songs I’d sung playback for was with Vishal-Shekhar. Our manager Ben Thomas used to manage them at the time when he set up his company KNC Talent. He’s had an illustrious career of managing artists like Sonu Nigam, Sandeep Chowta, Anushka Manchanda, Shruti Pathak, etc. So through his recommendation, Vishal-Shekhar heard our song ‘Teri Aankhon Se’ and gave me the opportunity to sing on songs like ‘Dhat Teri Ki’ and ‘Ishq Bulaava’. I’m glad to have been a part of those songs and we also really enjoyed putting out our renditions of them on our channel. And like you’ve mentioned, I’ve also had a fun experience singing on Himesh Reshammiya’s track ‘Barbaad Raat’ with Shalmali Kholgade. Venky S – I think as long as you make good music, it’s nice to hear any song. Whether original or recreated. The key is to not be relaxed or make an insipid version since the song has already been created. An artist needs to put his/her/their voice and aspire to improve on the song without contrivances. But as a band, it’s always much more satisfying when you create your original music, and we are looking forward to releasing them this year. In this digital era, how do you all prefer to listen to music? For example, which streaming apps do you use and how often (if at all), do you listen to music from CDs? Keshav Dhanraj – Since we’re based in India we use whatever works, Youtube is better to watch videos and the a lot of the consumption of listening to audio has moved to an audio/visual format. Which is why we put out our releases on Youtube – easy to access anywhere and the interface is great. We may also use Apple music, Saavn, Gaana, Hungama, Play Music etc. I think whoever has a CD player might still be using them – for eg. Venky plays CD’s in his car – his current albums in the car are Ray Charles – Live at Newport, Malika Tirolien – Sur La Voie Ensoleillée. When can we expect a new SANAMoriginal? Samar Puri – Very soon. Our target is to release a song every fortnight. We already have five new originals that we’re working on, and they all sound different from the other so that’s whats amazing. The latest release is “Itni Door” for which we are getting a lot of love. What do you enjoy the most: creating covers or performing live? Venky S – Performing live is where it’s at for sure. There is this thrill that you can’t compare when you play for a live audience. Interacting with people and playing musical ideas together live with a band is magical. It’s even more endearing when the audience responds in the most overwhelming way. I hope more people take time out of their busy schedules to appreciate and experience live music. Please share your favourite current song (Bollywood or International). Finally, any advice for fellow budding musicians, who wish to form a band? Keshav Dhanraj – Practise and jam on music together. Listen to the greats and use your skills to compose something new together. The process of creating music together is so enriching. It encapsulates the combined effort of all the members and that will always be a unique style. I hope you all have enjoyed our music talk with SANAM, and I hope their tips and tricks will be useful to all budding musicians out there!